The Shuriken Micro Hex is sized for 4-inch propellers. This kit is for an unsoldered IPDB. You will need to solder your own pin header. The Shuriken is designed as a hex racer. This 4inch prop hex allows you to customize your setup with your favorite motor and esc combination. 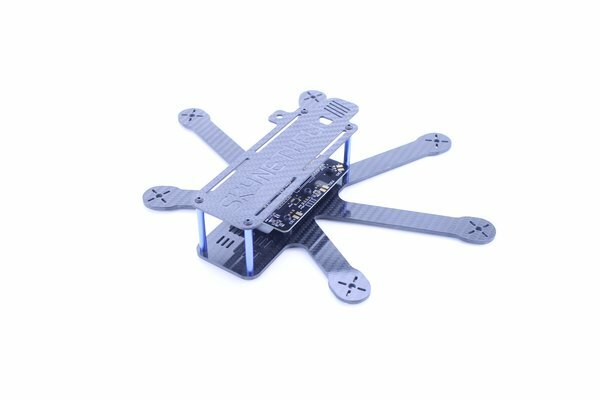 The iPDB (Integrated Power Distribution Board) has clean look and crash friendly. Optimize your Shuriken to your flying style from your skill set to your speed requirements. You can run 3s or more it’s all up to you. Weather it’s for full all out racing or HD video’s the Shuriken got you covered. Choose your motor size and ESC’s. You can use 1306 size motors or choose 1806 size motors for monster power. The ESC’s install on the arms and have plenty of room. 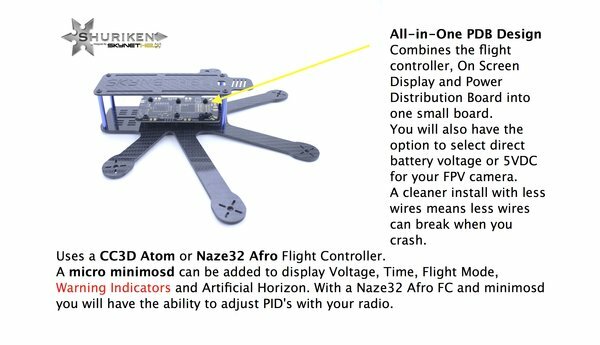 The iPDB is compatible with your choice of flight controllers. 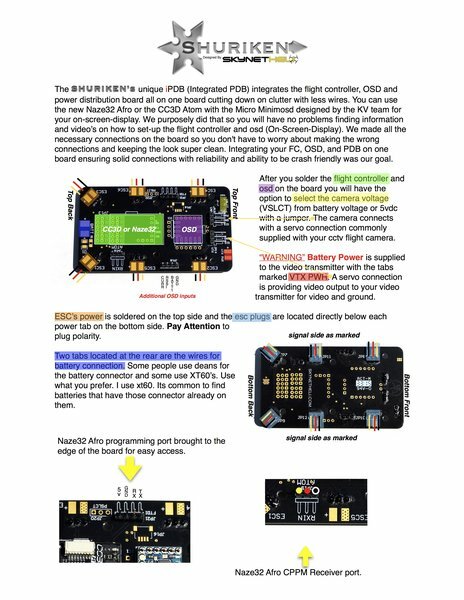 Naze32 Mini or CC3D Atom. Adding the micro minimosd to the iPDB will provide ON Screen Display Information to your goggles/monitors in addition to supplying power to the camera and video transmitter. Delivering cleaner/clearer picture with less video noise. 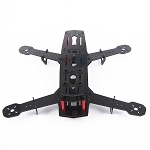 The frame is built from 3k carbon fiber, making it extremely durable and lightweight. Weight efficiency was also considered by cutting down on hardware required and materials used to assemble.